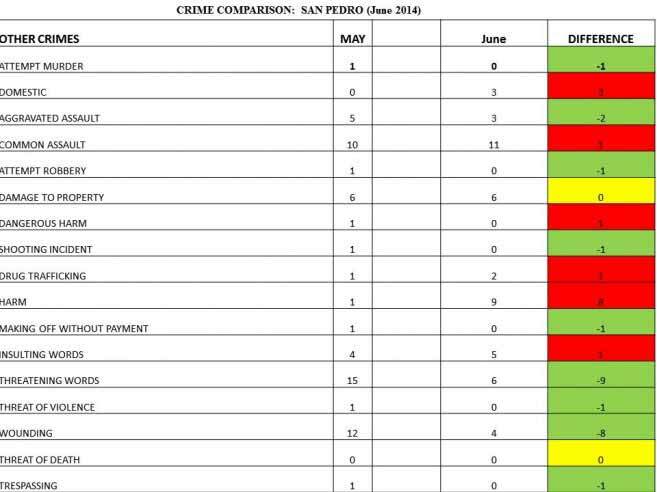 With 2014 already half way finished, Officer in Charge of San Pedro Police Luis Castellanos has issued crime statistics for June 2014 and reports on the island’s crime activity over the past six months. According to Castellanos, major crime on the island is now under control and there seems to be a healthier relationship between the police and the community. 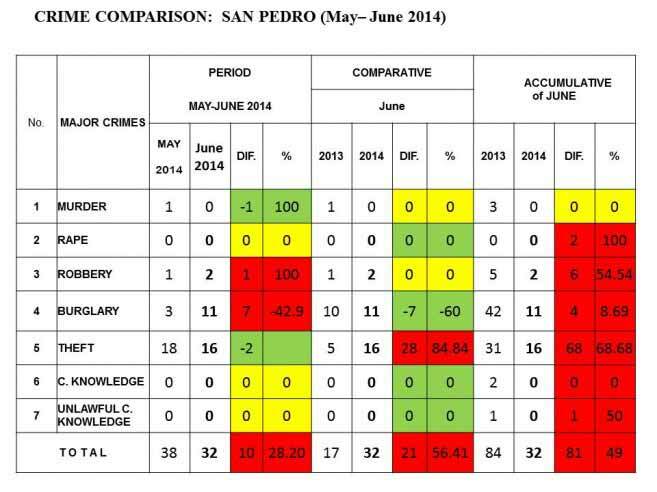 January to May 2014 saw four murders and a slight increase in burglaries and shooting incidents. After a spike in crime during the month of March, San Pedro Police received assistance from the Belize Police Gang Suppression Unit (GSU), the Belize Anti-Drug Unit (ADU) and the Belize City Quick Response Team (QRT) in stabilizing the situation on the island. San Pedro Police, along with Belize City Police also launched “Operation Clear Water” that started on Friday, June 20th to Sunday, June 22nd. The San Pedro Police has started community policing projects and youth education programs such as the San Pedro Youth Cadet Corps Program and the Gang Resistance Education and Training (GREAT) Program. “It is important that the police have a good relationship with the community. The police are here to work in partnership with the community to help prevent and reduce crime. Only by working together can we enhance the quality of life for a safer San Pedro,” said OC Castellanos. To contact the San Pedro Police call at phone number 206-2022 or visit the San Pedro Police Station on Pescador Drive. To report crimes anonymously call Crime Stoppers at 0-800-922-8477.